This paper presents the energy and greenhouse gas (GHG) emission assessments of Korean offshore fisheries. The consumption of energy by fisheries is a significant concern because of its attendant environmental effect, as well as the cost of the fuel consumed in fishing industry. With the global attention of reducing GHG emission and increasing energy efficiency of fuel, the seafood industry needs to further understand its energy use and reduce its GHG emission. 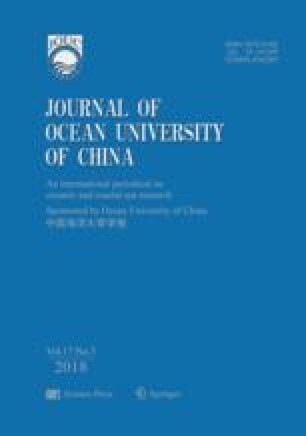 In the present study, the amount of energy consumed and the GHG emission of Korean offshore fisheries in a period from 2009 to 2013 were examined. Offshore fisheries accounted for 24% of Korean production in 2013 and 60% of fuel consumption related GHG emission. Whereas the total GHG emission intensity of this sector improved slightly between 2009 and 2012; as such emission decreased by approximately 1.9%, which increased again in 2013. The average amount of total GHG emission in this five years period was 1.78 × 106 tons of carbon dioxide equivalent/year (t CO2 eq. y−1). Active fishing gear was found to consume 20% more fuel than passive gear. However, the production from passive gear was 28%, lower than 72% from active gear. The reason for this is that less abundant stationary resources are harvested using passive gear. Furthermore, the consumption of fuel was significantly influenced by the fishing method. Implementation and development of new fishing technologies and methods are important for improving energy efficiency and reducing the climate impact on fisheries. To realize these purposes, the fishery management system needs to be established by centralizing on energy efficiency and climate effect. This research was supported by the Basic Science Research Program, through the National Research Foundation of Korea (NRF), and was funded by the Ministry of Education Science and Technology (No. NRF-2012R1A 1A1011106). Ministry of Oceans and Fisheries (MOF), 2016. http://fips.go.kr (accessed 10.06.2016).